Members of the HSP70 gene family comprising the constitutive (HSC70) and inducible (HSP70) genes, plus GRP78 (Glucose-regulated protein 78 kDa) were surveyed for expression levels via Q-PCR after both an acute 2-h heat shock experiment and a time course assay in the Antarctic plunderfish Harpagifer antarcticus. In general, down regulation of all genes was observed during the course of the heat shock experiments. This thermally induced down regulation was particularly acute for the GRP78 gene, which at one time point was more than 100-fold down regulated. These results demonstrate the loss of the heat shock response in H. antarcticus, a basal member of the Notothenioidei. 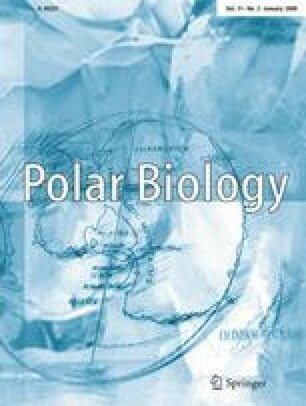 This finding is discussed with reference to the survival of Notothenioids during observed ocean warming and also the reorganisation of cellular protein mechanisms of species living in extreme environments. This paper was produced within the BAS Q3 LATEST and BAS Q4 BIOREACH/BIOFLAME core programmes. The authors would like to thank all members of the Rothera Dive Team for providing samples and to Pete Rothery for statistics advice. Overall diving support was provided by the NERC National Facility for Scientific Diving at Oban.